Congratulations to Bill Fitch for his 60 years of Rotary service. 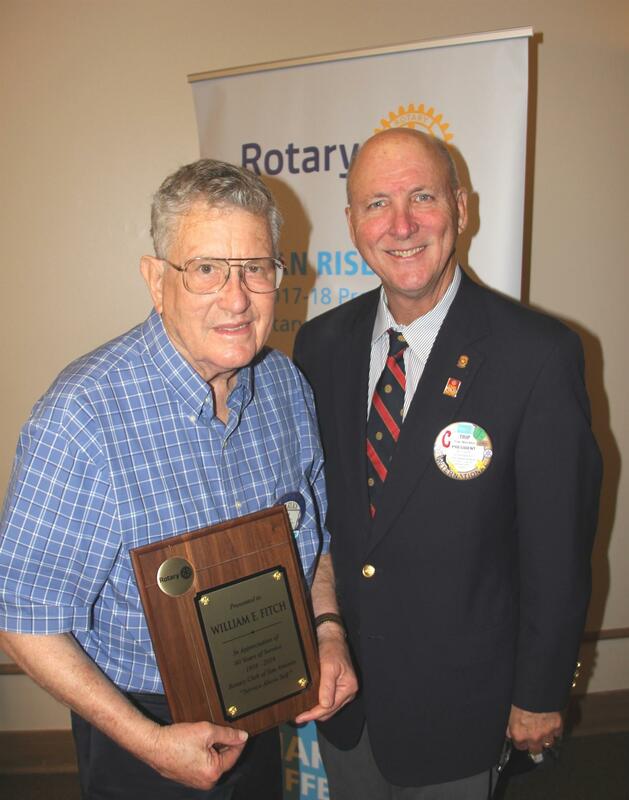 Bill's family has a long history with Rotary. His grandfather, Ed Fitch, became a member of the club in 1918 and served for 44 years. His father, Evans Fitch, was a member for 66 years, the first 47 of which he had perfect attendance. With Bill's 60 years, the Fitch family has served the Rotary Club of San Antonio for 170 years. We're proud to call him a member of our club.